Thousands of Bahamians presented themselves to vote in the advance poll on May 3, 2017 in New Providence, Grand Bahama, and numerous cities including Atlanta, London, and Beijing. In New Providence, the only polling station -- Kendal G.L. Isaacs Gymnasium -- opened 80 minutes late. There were two lines with mixed constituencies, all entering through the same doors with no designated exit. Poor planning by the Parliamentary Registration Department led to voters spending over three hours in line. We have heard reports of registered voters -- including students abroad who traveled to the nearest consular offices -- being turned away because their names were not on the register. Standing against disenfranchisement of voters, Out Da Box calls on the government to hold an additional poll to accommodate those who were denied the right to vote in the advance poll. It is inexcusable that the Parliamentary Registration Department did not give consideration to Bahamians in the Family Islands who did not have the option to vote in the advance poll without travelling to New Providence or Grand Bahama. The decision to limit the in-country advance poll to New Providence and Grand Bahama was undemocratic and a form of economic and geographical disenfranchisement. Family Island voters registered for the advance poll must be extended the opportunity to vote on their islands of residence on an alternate date. Since its launch, Out Da Box has been critical of the serious flaws in our electoral system with emphasis on party leadership and candidate selection, demand for campaign finance reform, and demand for election campaign regulation. Attention must now be turned to the process of registration, voting days, and the legitimacy of the process and the results. We must not ignore the fact that Bahamians were denied the right to vote in the advance poll, many of whom are unable to vote on May 10, 2017. Why was there one polling station in New Providence for thousands of voters? Why was participating in the advance poll cost-prohibitive for Family Islanders? What recourse is there for registered voters who through absolutely no fault of their own were turned away and cannot vote on May 10, 2017? How many people must be turned away and denied their right to vote before we are prepared to call this election void? In November 2016, only 57,000 people had registered compared to 134,000 at the same point in 2011. It was clear that, unlike previous election seasons, Bahamians were not looking forward to exercising their democratic right to vote. Out Da Box observed the registration process and its many problems, and encouraged Bahamians to register to vote by promoting the option to spoil the ballot -- a form of protest and a way to participate without endorsing a candidate or party. At the close of voter registration, the Parliamentary Registry reported there were over 181,000 Bahamians registered to vote on May 10, 2017 in the general election. This causes concern because the original reported count was around 174,000 and all that was reportedly left to do was eliminate duplicates and the deceased. What is the explanation for this variance? We repeat our demand for sweeping electoral reform in this country. We demand that these reforms become a top priority for the incoming government. In many nations, the registration of eligible voters is initiated by the government. In The Bahamas, the onus is on the citizen to register in order to be permitted to vote and this is, arguably, a process of disenfranchisement which has been compounded by the chaos of the advance poll. Out Da Box calls on the government of The Bahamas to act in good faith and provide an additional poll date to accommodate those who applied for and were granted the right to vote in the advance poll but were unable to do so because of the delay in opening or were otherwise turned away for reasons beyond their control. We also call on the government to make provisions for Bahamians abroad and in the Family Islands who were unable to participate in the advance poll to cast an extraordinary postal ballot. 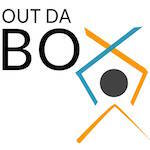 Out Da Box is a movement working for electoral reform and increased voter turnout through the promotion of the option to spoil the ballot. This act of civil disobedience is a rejection of a closed process of selecting party leaders and candidates, rejection of prospective candidates, ratified candidates and party leaders who have not come before the public to participate in public debates and town meetings, demand for campaign finance reform to prohibit foreign contributions and require political parties to reveal contributors, and demand for regulation of election campaigns and party elections by an independent Electoral Commission.